Medical Spas & Day Spas are a unique business. They merge the medical industry with the beauty/spa world to provide always evolving anti-aging and cosmetic services. Our policies insure all medical spa liability risks including Professional Medical Malpractice, General Liability, Property & Contents, etc under ONE policy. AM Best Rated with no annual premium increases. There is no need work with multiple agents to obtain all of your insurance coverage’s. We have no policy restrictions. We are the leading Insurance Experts in the Medical Spa & Day Spa Insurance industries. Our team has over 28 years of experience in customizing policies that cover all areas of the Medical Spa & Day Spa Risk portfolio. We are faster, more knowledgeable, and will make sure you are saving every dollar possible. We represent over 38, A+ Rated Carriers and we pride ourselves on lowering your premiums! We cover ALL procedures/employees and have excellent payment plan options. As a family owned business we understand the value of personal attention. You contact us, you get us! We are here to serve you and we look forward to your business! Microdermabrasion is a non-chemical, non-invasive procedure that uses a spray of microcrystals to remove the outermost layer of dry, dead skin cells and reveal younger, healthier-looking skin. Microdermabrasion also encourages the production of a new underlying layer of skin cells with higher levels of collagen and elastin, which further improves your skin’s appearance. A Chemical peels is when a chemical solution is applied to the skin, which makes it “blister” and eventually peel off. The new skin is usually smoother and less wrinkled than the old skin. Intense pulsed light, commonly abbreviated as IPL, is a technology used by cosmetic and medical practitioners to perform various skin treatments for aesthetic and therapeutic uses including hair removal, photorejuvenation, and treatment of dermatologic diseases. Botox is a drug made from a neurotoxin produced by the bacterium Clostridium botulinum called botulinum toxin. It is used cosmetically to remove wrinkles by temporarily paralyzing muscles. Dermal fillers, also know as injectable cosmetic filler or injectable facial filler, is a soft tissue filler injected into the skin to help fill in facial wrinkles, restoring a smoother appearance. VelaShape was the first non-surgical FDA cleared medical device for body reshaping and cellulite treatment. It treats both the deeper tissue and upper layers of the skin. LipoSelection is a form of liposuction that uses ultrasonic energy in a deliberate controlled fashion to assist the doctor in the selective removal of fat in body contouring surgery. 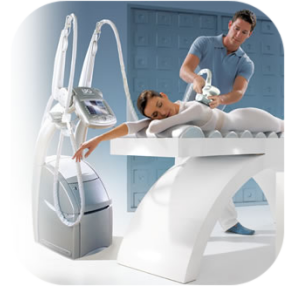 Laser Body Sculpting rapidly dissolves fat and tightens the surrounding skin almost anywhere in the body. Using local anesthesia, the procedure is performed with a small one-millimeter cannula that contains a laser fiber. The laser fiber delivers energy directly to the fat cells causing them to rupture and drain away as liquid. Here at Clifton Insurance we can tailor the insurance product to fit any type of spa activity.